From Pile Of Rust To An Amazingly Restored 1969 Mustang Mach 1! - Muscle Cars Zone! 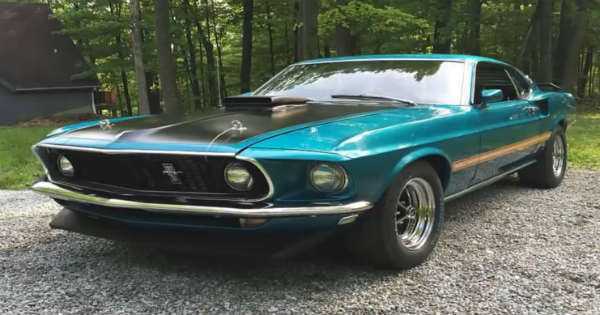 From Pile Of Rust To An Amazingly Restored 1969 Mustang Mach 1! There are some utterly amazing stories that we have heard of the years, some of those stories we vividly remember to this day. When it comes to buying a car that has some great story behind it, it is always awesome to hear and to know every detail about it; hence you will definitely understand why the vehicle is so valuable. Something similar had happened to this Reddit user when he found out the one of his all-time favorite cars, which is so difficult to find one now, was up for sale. We are talking about the one and only 1969 Mustang Mach 1. He was determined to grab the opportunity and to finally own the car that he always wanted to. But the Mustang Mach 1 was far from being ideal; on the contrary, it was in horrible condition. There were many missing parts, such as the doors, most of the interior and its front part. To top everything up, the car was completely covered in rust. Even though the owner had a little bit of experience with fixing cars, this Mustang was way out of his reach and he decided to call his father-in-law for some help. They knew that it was going to be a long and hard process, but they were determined to finish it. And so it began, the car required tons of cutting and welding, some serious paint job and tons of other parts. If you want to know more, make sure to check out the full video! At last, if you want to go a little bit back in time, and read a brief history about the Mach 1, click here!